Are these guys actually in the wrong universes? I had a discussion with a friend of mine recently regarding DC vs. Marvel. They felt that DC was more reality-based than Marvel. In regards to the movies, that’s unquestionably true. Especially in the case of Batman. Christopher Nolan’s take on the character is incredibly grounded, showing The Dark Knight in realistic armour rather than hard plastic or spandex. Nolan and Zach Snyder’s take on Superman in Man of Steel was trying to come to bring as much reality as they could to a man who shoots beams of heat out of his eyes. Yet, I realized something during this: if anything, Marvel is more grounded in reality than DC. In fact, it always has been. What’s more interesting is that I realized neither Batman or Thor really fit in with their respective universes. Let me explain. 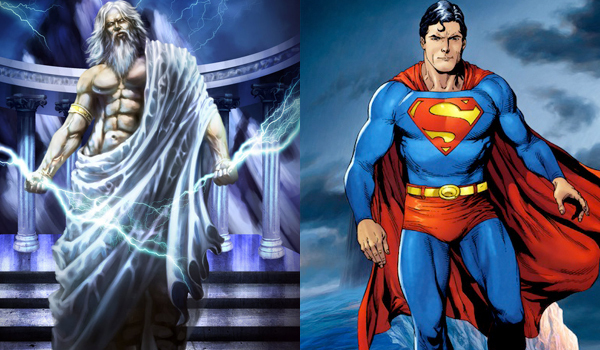 Superman was likened to Zeus by Grant Morrison. DC has inherently been bigger than life. Some – such as writer Grant Morrison – compared the Justice League to Greek gods. In terms of sheer power, that’s impossible to argue. Superman has been likened to a god himself. Wonder Woman was literally made from clay and brought to life by the power of Zeus. Green Lantern has a trinket on his finger that’s the most powerful weapon in the universe. The Flash breaks the speed barrier on a regular basis and can tap into the Speed Force (a later addition to his mythos). Martian Manhunter can shape change and read minds. The threats they face tend to be bigger because the villains must match the sheer combined power. Another thing about the DC Universe is that they rely less on real world locations and more on fictional cities: Metropolis, Gotham City, Star City, Gorilla City (yes, a city just for gorillas; because comics). Planets like Krypton, Thanagar, Apokalips, and many others are used on a regular basis. Wonder Woman’s Themyscira is also a regular place for stories. Yet despite all that, aside from being set in Gotham City (which is based primarily on New York or Chicago, depending on who you ask), Batman is almost entirely ground in reality. Among a large pantheon of god-like superheroes, Batman is one of the few “big names” without any powers. He relies on tactics, gadgets, and martial arts. Many fans believe he could beat anyone – even Superman – with the right amount of preparation. Heh, and they call SUPERMAN the boy scout. Who knows what evil lies in the heart of men? The Shadow knows. Batman knows, too. Batman is a man of science. Neither he nor his abilities are from another planet. He’s not born from the gods. He wasn’t struck by lightning. He’s just a crazy dude dressed up like a bat because his parents will killed by an unknown mugger (or known, depending on who you ask). 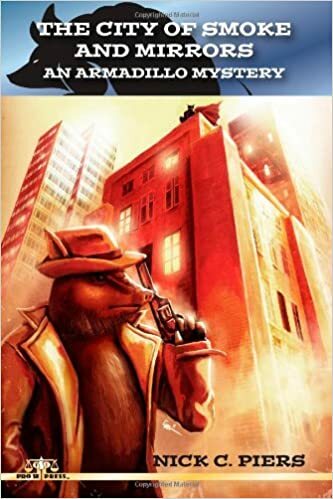 In this sense, he shares more in common with pulp heroes like The Shadow, Doc Savage, and The Rocketeer. They were regular men who went on outlandish adventures into the unknown. In fact, Bob Kane and Bill Finger have even said two of their major influences for Batman were The Shadow and Zorro. Some DC heroes have some science or pulp influences. In his early days, The Flash had scientific explanations for many things. Superman has some similarities with John Carter. But overall, they are still bigger than life in comparison to The Caped Crusader. Similarly, the majority of Marvel’s core superheroes are men and women of science or victims of science. 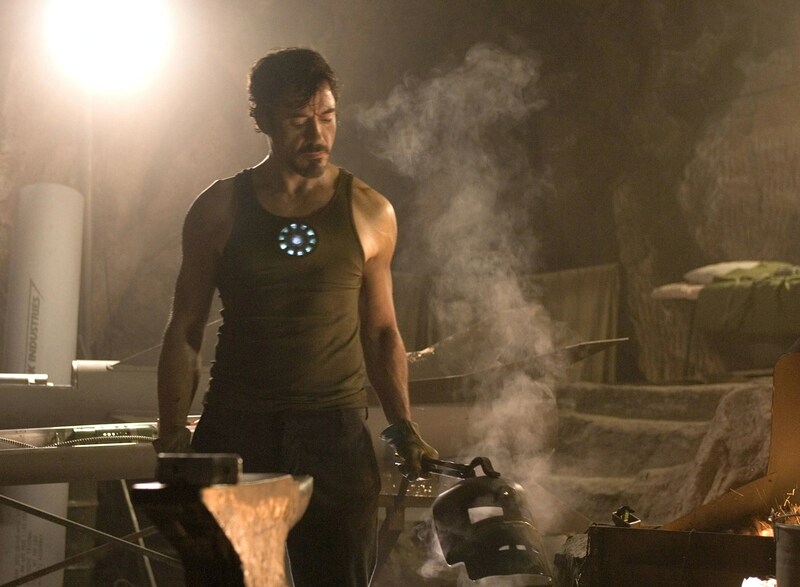 Iron Man, like Batman, is a man of science who built his armour while captive in a cave. Captain America was born from a military science experiment. Bruce Banner’s mishap with a gamma bomb created The Hulk. Spider-Man was bitten by a radoiactive spider. Ant Man and The Wasp were created through Hank Pym’s science. Even the master of the mystical arts, Doctor Strange, could be seen as more of a mystical pulp hero. Now of course, science in comic books is still over the top and not entirely realistic when looked at with a strong, keen scientific mind, but it’s still grounded very much in science. While Marvel certainly has some fictitious locales, such as Wakanda and The Savage Land, their stories primarily take place in real world cities, especially New York. Most battles take place downtown New York. The Avengers certain travel into space for battles against Thanos or perhaps time travel to fight Kang, but overall, they are primarily very grounded, relatable heroes. But then you have The Mighty Thor. 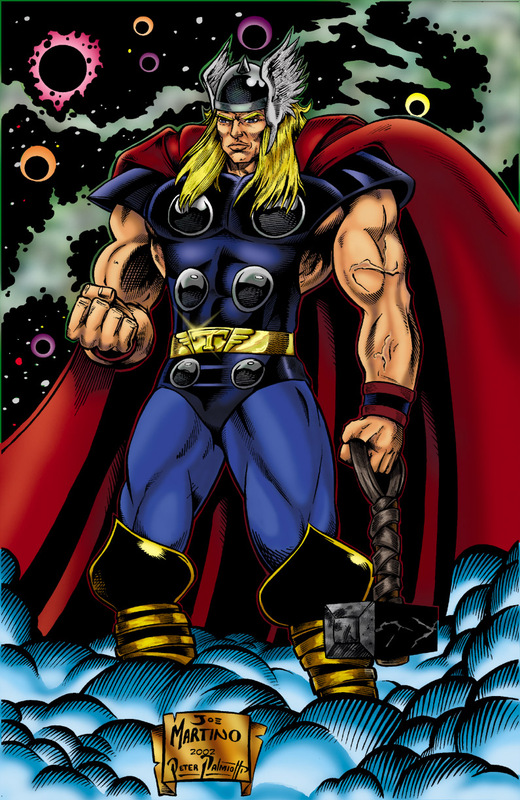 Wielding the mystical hammer Mjolnir, Thor hails from Asgard, home of the Norse Gods, ruled by his father, Odin. Thor is unquestionably the powerhouse for The Avengers. He can strike his enemies with lightning, or go toe-to-toe with the biggest of baddies. Thor isn’t just likened to the gods of old. He is literally one of the gods of old. Yet, going by general theme of the rest of the Marvel universe, Thor isn’t wielding a hammer. It’s wrench into the works of science! These men of science – many of them likely atheists (certainly Tony Stark) – don’t know what to make of Thor. I actually liked how, early into The Ultimates (by Mark Millar and Bryan Hitch), we didn’t even know if Thor was really a god or if he was just powerful madman. That’s how crazy it is to have a hammer wielding god in the midst of all that science. It’s funny how Thor and Batman would likely belong better in their opposite respective universes. Batman would be right at home with the men of science. Thor would fit right in with the Justice League’s pantheon. Yet, they both unquestionably exactly where they are. Batman brings a humanity to the Justice League. Their opponents often completely underestimate him and his abilities. Thor, as I said, throws a wrench into the works of science, making these men who want to be like gods realize that they’ll be nothing like the real thing. Without even trying, both of these heroes, in their own ways, bring a humility to their compatriots and their respective universes. This entry was posted in Comic Books, Essays and tagged batman, comic books, dc comics, hulk, iron man, marvel comics, superman, the flash, thor. Bookmark the permalink.